ThoughtFarmer 8.5 Sangria adds flavor to your intranet by incorporating ingredients that help your employees take charge of their productivity. The most important function of an intranet is finding information. That’s why we’ve enriched the ThoughtFarmer platform with a cocktail of features—like an interactive organization chart, enhanced Google Drive integration, and image asset management tool—that make it easier for your employees to find the people and content they need. A major barrier to productivity is the time spent sifting through emails. To cut through the clutter and help your employees take charge of their work week, we introduced group @mentions and page sharing. These tools (and more!) make it easy to maintain the context of conversations, and keep them on the intranet and out of email. Password fatigue can leave employees and IT feeling frustrated. To save staff time and unburden your support team, we’ve introduced (and enhanced) our integrations to make SAML authentication and automatic user sync using OKTA and Azure, possible. ThoughtFarmer 8.5 Sangria really adds flavor to your intranet and gives productivity a punch. Find the right people, fast. ThoughtFarmer’s interactive Organization chart provides a visual overview of your organization in real-time. Employee cards display photo, title, and contact information so it’s easy to locate the right person and connect with a click. 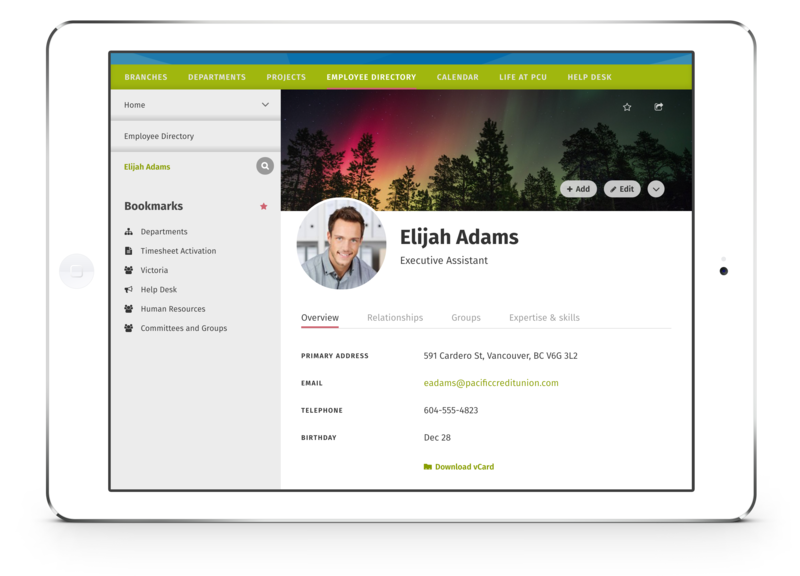 Rich, customizable employee profiles put contact information and bios at your fingertips. We’ve enhanced employee profiles to include an at-a-glance progress bar. This visual reminder lets your people know when their profile information is complete. 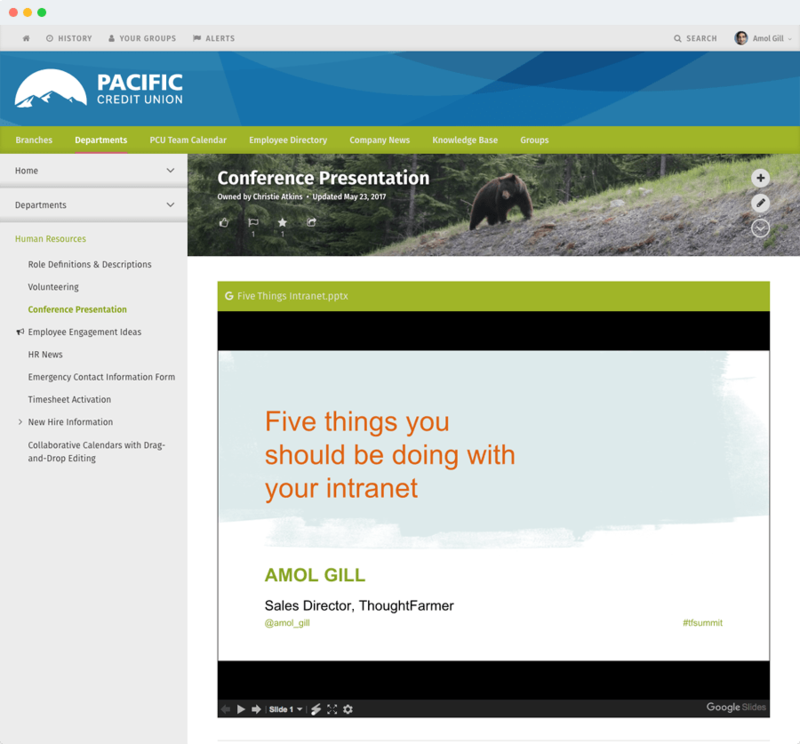 Add flavor to your intranet with vibrant images. “Recommended Galleries” make it easy for users to create and publish attention-grabbing content. Turn URL’s from machine-speak into something humans can understand. ThoughtFarmer automatically uses your page’s title to generate links that are more readable and findable. 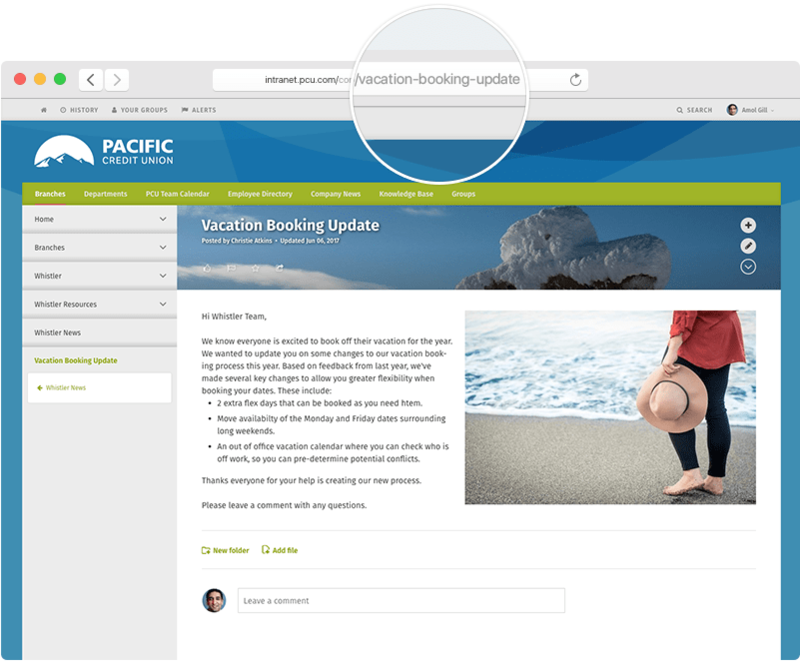 Keeping conversations on the intranet and out of email has never been easier. 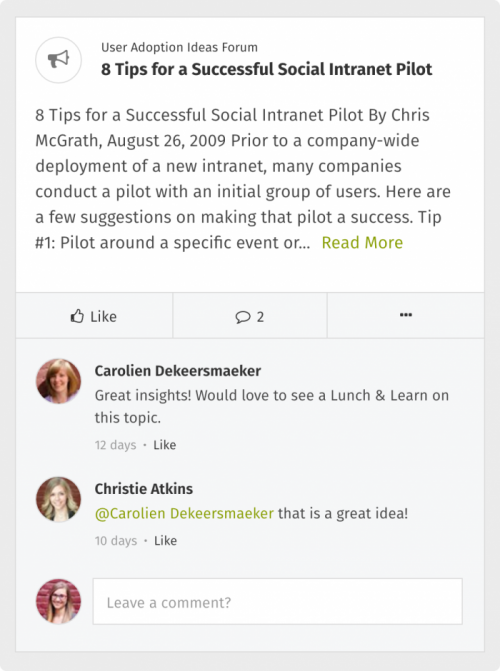 Page sharing allows teams to share content from the intranet and the internet all in the same feed. Need to circulate something to an entire team or department? We’ve refined @mentions to include group sharing. Now employees can speak to specific individuals or keep an entire team informed in real-time. Many modern organizations are switching to Google for authoring documents and presentations. It is now even easier to embed Google Docs and Google Drive directly into your intranet, so they are easy to find and access. Save staff time and unburden your support team from forgotten or expired password requests using the cloud based authentication service you’re already using. ThoughtFarmer now supports authentication with every major SAML provider—including: Azure AD, Google Suite, OneLogin, OKTA, Ping Identity—as well as on-premise Active Directory via the Employee Directory Connector, our own SAML provider. Automatically synchronize user account and group details with directories powered by Active Directory and OKTA. Simplify user provisioning and deprovisioning with on-demand and scheduled sync that includes all profile fields as well as group and security.